Whether you are a big brand looking to expand into new regions or a small startup with a clever marketing concept, localized digital marketing content can indeed make a difference. People like to see memorable advertisement messages during their daily commute or a relaxing walk to their local supermarket. Coming up with an attractive marketing message that will sell a product or a service isn’t as easy or straightforward. With the right tactics and approach, however, you can indeed affect your brand image and attract new customers to your product portfolio. 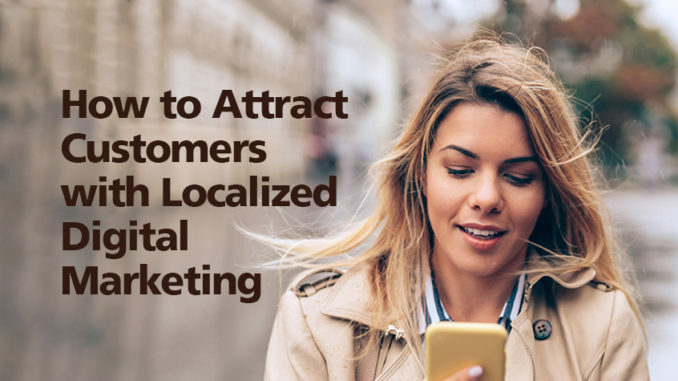 Let’s take a look then at several actionable steps which can help put your brand on the local radar through localized location-based marketing. Different states and countries around the world feature various types of multilingual societies. This means that your location-based marketing content should accommodate for those needs as much as possible. One of the languages that should find its way into your localized digital marketing strategy is English. It can be coupled with whichever language is native to a certain region. For example, in France or Greece, English could be coupled with French or Greek. Exceptions can be found in countries such as Russia where you might have to accommodate for Russian, English and Chinese (due to population migrations). You will have to expand your selection depending on the territory, however, since there are no rules as to which languages people habitually steer towards. Choose the right languages and your localized digital marketing will already bear more fruit than before. What separates one brand from another in a competitive market is the brand values associated with it. Coca-Cola and Pepsi both produce soft drinks but their values are vastly different. Coca-Cola managed to rise above the other on the global market and set a standard for location-based marketing. Your brand values can include anything from disruptive growth, emphasis on family and socialization, or even individual career building. Create a set of values which will represent your brand. Then, make sure to localize them into whichever language you target with your advertisement campaigns. Audiences who identify with your views will approach your brand with curiosity. They will also be more likely to convert into customers for your emphasis on values over concrete products. It’s important to define the purpose of your location-based marketing early on in the campaign. Do you aim to create brand awareness or sell particular products or services? Your calls to action (CTA) should reflect the purpose of your current campaign. It’s a strategy that will connect with and attract customers. These CTAs should be localized into local languages either by native speakers or platforms such as Pick Writers, which is a translation review website. It’s quite easy to mistranslate a word or a phrase during the language localization process. Consider working with a professional editor or a native speaker for accuracy. Place your CTA front and center in your location-based marketing materials in order to attract as many customers as possible. You may even consider adopting colloquialisms or references known locally to align with the audience. A CTA used in the South could say “y’all” and, in Philly, “jawn” or a reference to the Eagles. One of the best ways to disrupt an existing local market is to involve your brand in popular community events. You can act as a sponsor to a charity drive or organize location-based workshops that garner local news coverage. That way, your brand will gain local recognition and attract a sizable customer base through sheer presence without spending too much on advertisement campaigns. This type of involvement is also beneficial in terms of international marketing due to the power of the internet. Check the local area for upcoming events and volunteering opportunities with which to align your brand. The upside of localized digital marketing is that you can easily collaborate with people in your target markets. Chances are that each territory or country you try to push into will have established influencers. Influencers often come in the form of social media celebrities known to the local population, making them great partners for your brand. These individuals are constantly on the lookout for potential collaboration opportunities. They’re especially looking for new brands that show up in their local vicinity. Working on creative and appealing marketing materials with local influencers is a no brainer. Look for individuals who share your values and are willing to pitch in. You can offer them an exchange for either monetary compensation or product and service benefits from your portfolio. Lastly, social proof is one of the most powerful advertisement tools out there, both in digital and location-based marketing. It’s good practice to interview passerby, interested onlookers and customers who engage with your products or retail store. These statements can be used as testimonials and reviews in location-based marketing content in order to bolster your brand’s local appeal. After all, statements from local citizens will likely do a better job in attracting customers to your brand than carefully crafted marketing messages. In terms of digital content, you can utilize local testimonials to spread your brand awareness online and create an international image for your company. The more varied your testimonial pool is in terms of countries and languages, the better impression you will create over time. It’s true that you can learn a lot from global brands, such as Coca-Cola, however, they have built their reputation and reach over many decades of dedicated location-based marketing strategies. It’s important for your business to find brand authenticity and style of customer engagement in order to stand out from the crowd. Only then will your customer awareness grow and manage to attract a large enough audience to your cause to allow for organic business growth. 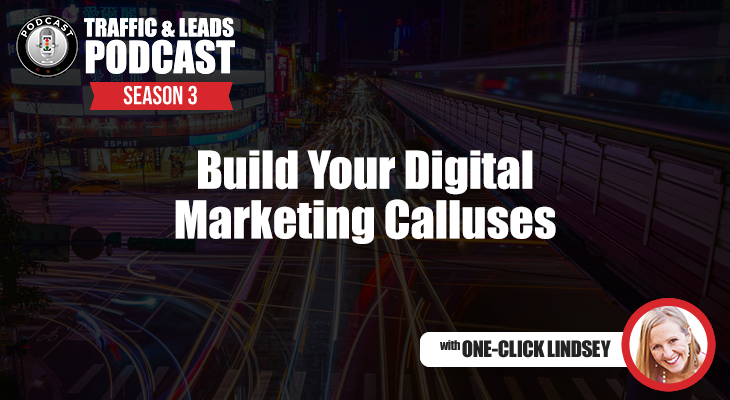 Don’t give up on localized digital marketing without giving it a proper shot. You might be pleasantly surprised with the results! Reach out using the form below and let us show you localization tactics that have worked for our clients! The post How to Attract Customers with Localized Digital Marketing appeared first on Out of Home Media Blog | EMC Outdoor.